Revamp Kitchen Cabinets With Decorative Patterned Glass - Rocklin Glass & Mirror, Inc. Rocklin Glass & Mirror, Inc. Revamp Kitchen Cabinets With Decorative Patterned Glass - Rocklin Glass & Mirror, Inc.
Take your kitchen remodel a step further, creating an elegant look for any kitchen by replacing the center wood panels with glass. The glass inserts will turn the ordinary into the extraordinary! Spice up kitchen decor with color; finishes; hardware; glass. 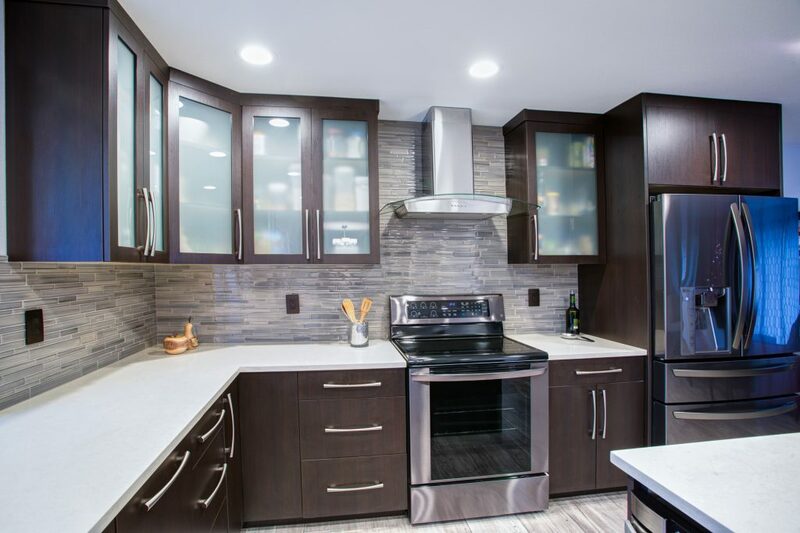 Whether traditional, modern, contemporary, or other – glass adds additional appeal to any cabinetry. Design options are endless! Why not go beyond the plain cupboards? Decorative glass makes a show stopping statement. And allows light to reflect off of dishware, antiques, etc. Kitchens are an area of homes utilized the most, next to the bedroom. So, of course, you want the kitchen to be an enjoyable space to spend time in; an area to WOW guests and family who visit. Stop by our store showroom where samples of decorative glass are available to browse through. Bring a cabinet door with you. The centers will need to be routed out, prior to installing glass. We will gladly install the glass in them for you.